This cleanser raises the bar for dry skin. This luxury cleansing bar strikes a balance, gently deep cleaning dry, dehydrated skin without sapping your complexion of vital, age-preserving moisture. Skin is instantly soft, plump and luminous with lasting benefits the longer you use it. Use directly after the Cleansing Oil of your choice, morning and night, as part of your bespoke Double Cleansing Ritualor simply use the bar alone. First, dampen the bar under warm water. Next, gently massage the wet bar over your face using the rounded corners to stimulate circulation. You can also use your hands and fingertips to create a rich lather as well, remembering to include the delicate area of the neck. Rinse with warm water. Blot skin dry. Follow with toner, treatments and moisturizers to match your skins needsor focus on synergistic formulas from the Hydration Collection to spotlight healthy, glowing skin. 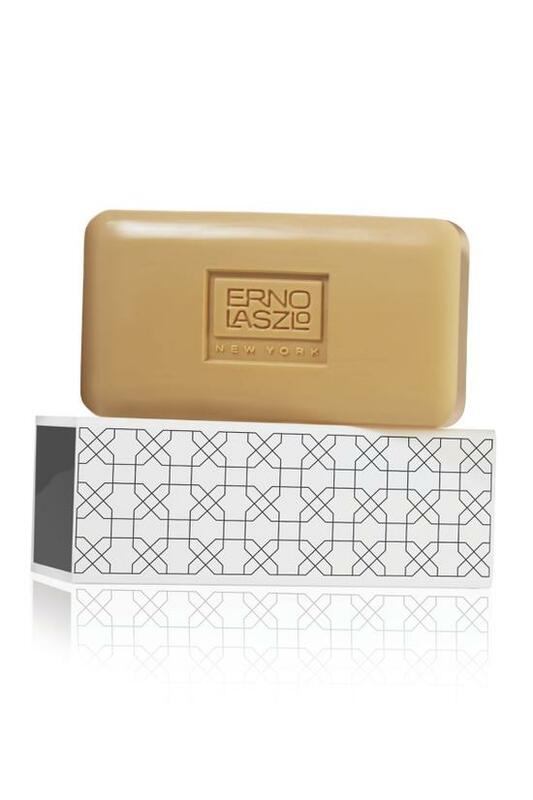 Be in the know: Erno Laszlo's Cleansing Bars boast the highest concentration of powerful skincare actives. In addition, some of Erno Laszlo's bars rely on advanced nano-encapsulation technology to deliver time-released spheres able to penetrate skins surface allowing active ingredients to work even longer than conventional cleansers. Plus, contrary to popular belief, Cleansing Bars are inherently unfriendly environments to microbes that only grow on food sources (such as your skins sebum oil.) Translation: as soon as the bar touches your skin, it begins to combat the oil that bacteria thrive on. INGREDIENTS: SODIUM PALMATE, SODIUM PALM KERNELATE, WATER (AQUA/EAU), CARTHAMUS TINCTORIUS (SAFFLOWER) SEED OIL, PARFUM (FRAGRANCE), SODIUM CHLORIDE, GLYCERIN, ETHYL MACADAMIATE, SULFATED CASTOR OIL, TETRASODIUM EDTA, TETRASODIUM ETIDRONATE, EVERNIA PRUNASTRI (OAKMOSS) EXTRACT, BENZYL BENZOATE, CI 77491, CI 77492, CI 77499 (IRON OXIDES), CI 77891 (TITANIUM DIOXIDE), CI 77289 (CHROMIUM HYDROXIDE GREEN).